Helen Croydon is a freelance journalist, producer and media trainer. She’s written for The Times, Sunday Times, Telegraph, Guardian, The Mail, Metro and several magazines. 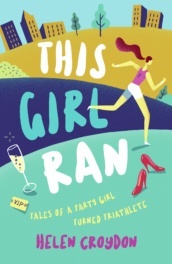 Since throwing herself into running and triathlon in 2014, her writing has also included health, fitness and outdoor adventure. In 2016 she competed for Team GB in the age-group World Championship triathlon. She lives in east London and is originally from Cheshire.